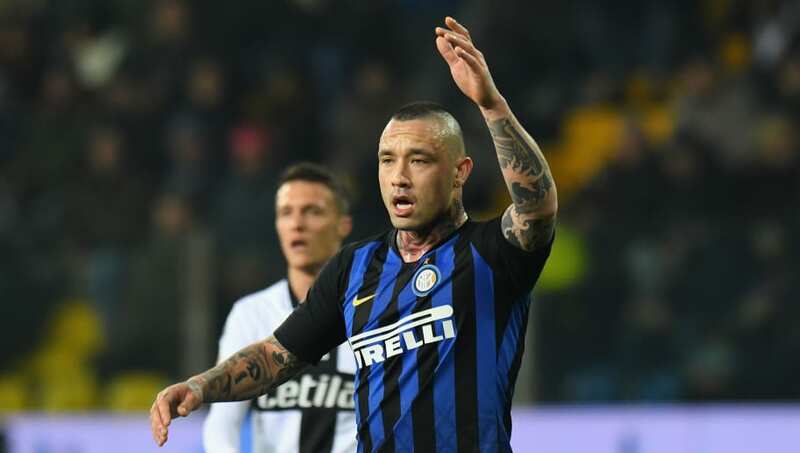 ​Radja Nainggolan has urged his side to keep going and 'work calmly' after starring in Inter's 0-1 win away to Parma in Serie A on Saturday. The Belgian was a key figure and provided the assist for Lautaro Martinez's late winner as the Nerazzurri claimed a vital win at the Stadio Ennio Tardini, helping his side to end a difficult run of four games without a win in all competitions. After the game, as quoted by ​Inter's ​official website, Nainggolan said: "We expected it to be a difficult game but we got on with our work calmly despite it being a delicate moment and we need to continue like this, without thinking that we've now gotten through the difficult moment. "The season is long, there are lots of teams close behind us even if we have a lead over them. Personally, I hope to have no more physical issues, I'm doing everything to prevent them. "I thank the club because they're allowing me to work at my best and it's on me now to repay everyone's trust in me. "Wins allow us to work with greater calm, we showed great desire tonight. Now, focus turns to the Europa League which is a big objective for us before we go again in the league." Saturday's win saw Inter solidify their standing in third place in Serie A, with the Nerazzurri five points clear of Atalanta in fourth, though Luciano Spalletti's side remain nine points adrift of second-placed ​Napoli.